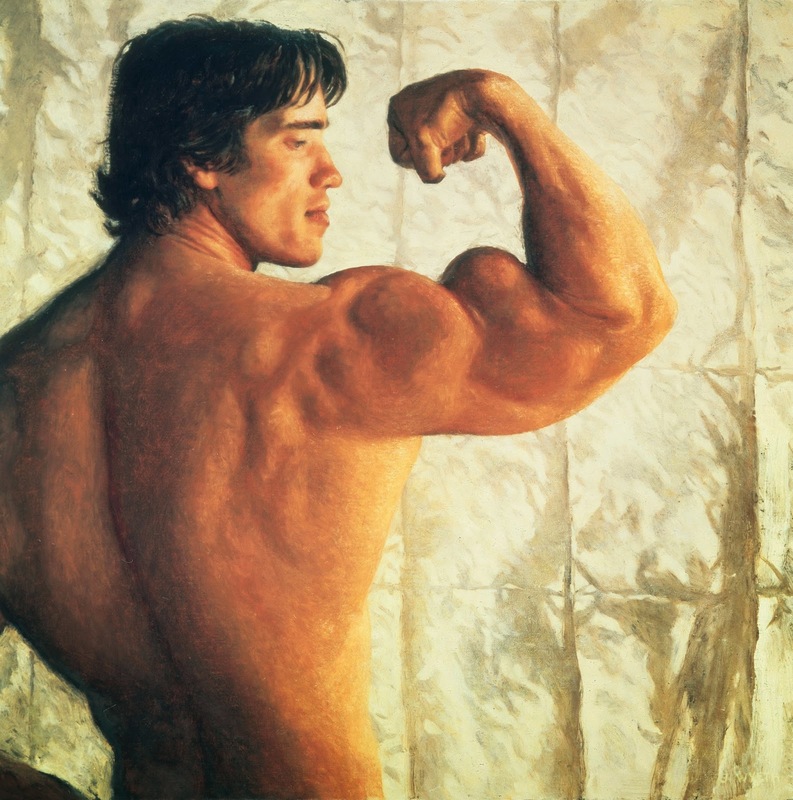 * The Collection of Arnold Schwarzenegger. © Jamie Wyeth. Lynn and I have always enjoyed the Museum of Fine Arts in Boston during our frequent trips there. They always have interesting and sometimes provocative exhibits, they have multiple great restaurants and the space manages to be stately without being intimidating or overwhelming. Recently, Lynn and I had the chance to check out one of the high profile exhibits in the US for the season: The Jamie Wyeth retrospective. Wyeth's work has always intrigued me on its own and in the way it connects to the work of his father and especially his grandfather. There is a part of us (mainly me) that really has a weakness for quality commercial restaurants and products that really deliver good value, minimum pretension and good quality and variety in their food, wine and/or spirits. 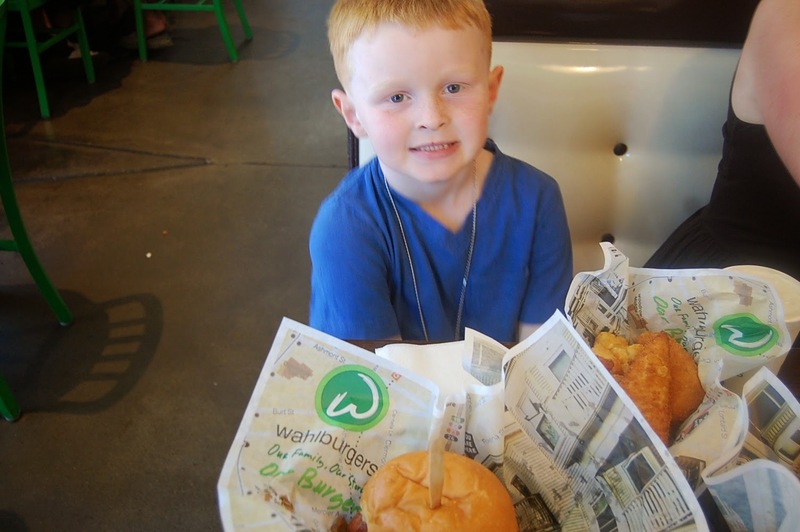 This impulse led us (mainly me) to seek out Wahlburgers the high end burger outpost in Hingham owned by Chef Paul Wahlberg and his brothers Hollywood superstar Mark Wahlberg and Donnie who has had a noteworthy career as a music, film and television performer. The restaurant has also generated a reality show of the same name on A & E featuring the behind the scenes operations of the Hingham restaurant. Lynn likes excitement and novelty which the crowded, bustling restaurant had in spades. What was unexpected was the high quality and general variety of the food. Lynn had a Haddock sandwich which she said had great flavor and was lightly fried with panko. Our grand kids enjoyed the Chicken Fingers and "Alma's Macaroni" (Alma is Mother Wahlberg). 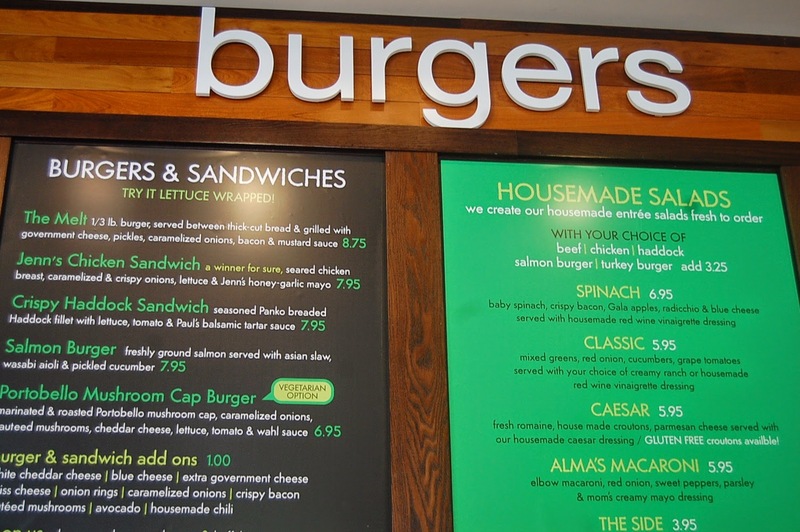 The restaurant had some great offbeat offerings for vegetarians such as the Portabello Capped Mushroom Burger which I had and found juicy and savory. If you are watching your carbs you can get the burgers with lettuce wraps instead of the bread. It is also worthy of note that the staff is friendly and unflappable. The manner in which they handled the bustling lunch crowd with wait lines going out into the street was impressive. Despite the long lines we were seated in a surprisingly timely fashion and managed to get our food quickly and with a minimum of fuss. The place has a family friendly vibe but there is a separate part of the restaurant with a bar section which makes it a good place to go and watch "the game." (The Red Sox were playing an afternoon game which generated a lot of interest during our time there). 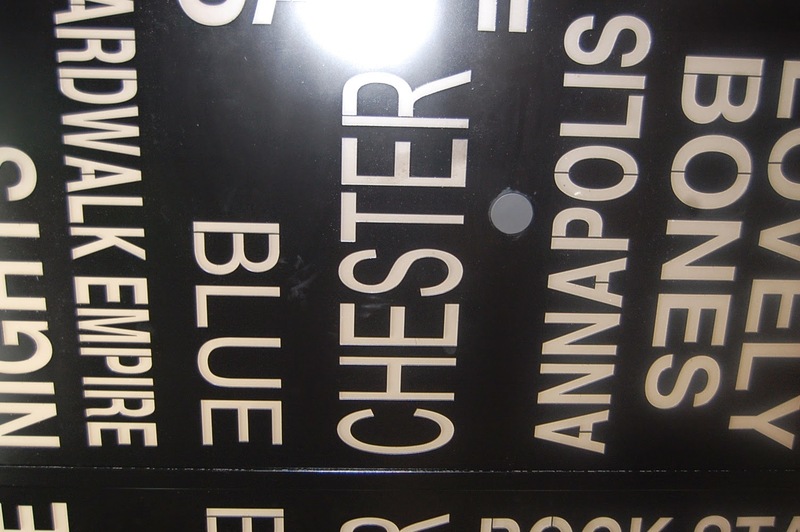 The drive from South Boston to Hingham is about an hour but the trip was well worth it and though we love Boston the parking can be kind of a headache if you are not up for it. 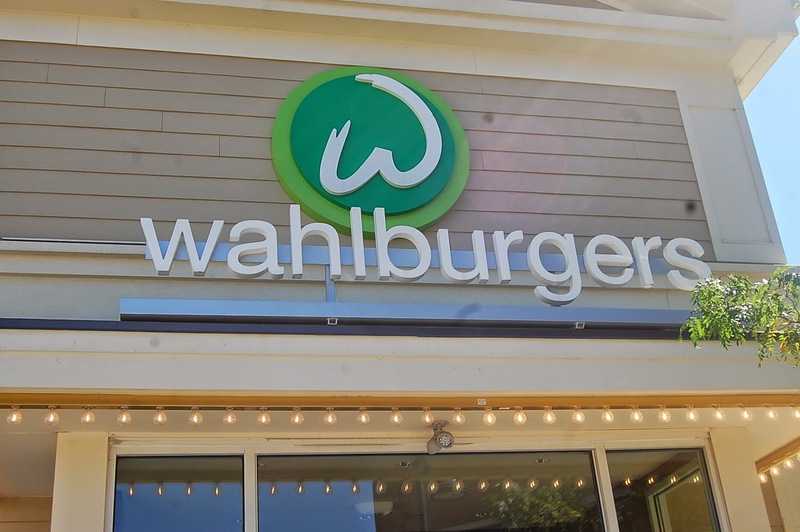 The area where Wahlburgers was busy but parking was not a hassle. We are giving away a copy of Kathleen Flinn's funny and poignant memoir of her childhood Burnt Toast Makes You Sing Good. Ms. Flinn has also graciously agreed to contribute a one of a kind item to our givaway: An autographed jar of her own homemade blueberry jam made from her grandfather's own recipe. To enter simply tell us in 50 words or less your most memorable dish growing up (and why). Email your entry to markandlynnarefamished@yahoo.com. Lynn and I will choose the winner and will publish the winning entry as on of our posts. Contest ends midnight September 20. Thanks much and good luck! 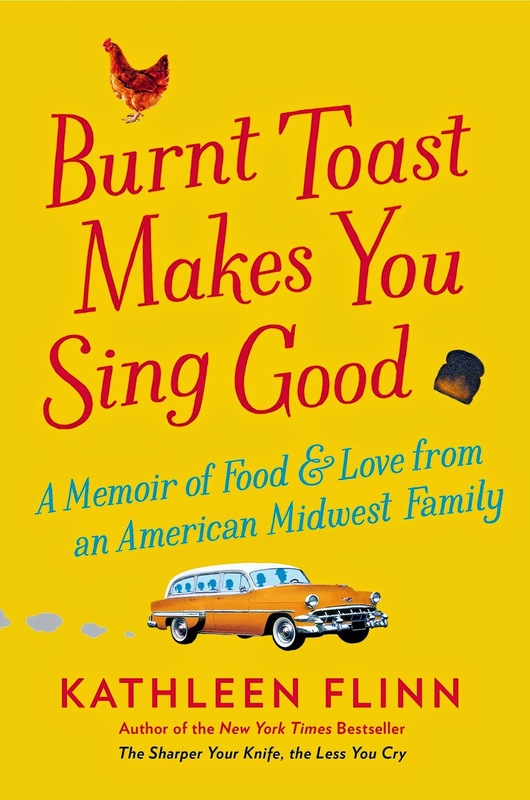 Kathleen Flinn's author of The Sharper Your Knife the Less You Cry is back with a memoir of her youth called Burnt Toast Makes You Sing Good: A Memoir of Food and Love from an American Midwest Family. Ms. Flinn's memoir appropriately arrives late in the summer as it is a book as bittersweet and poignant as the end of the season and the onset of Autumn. 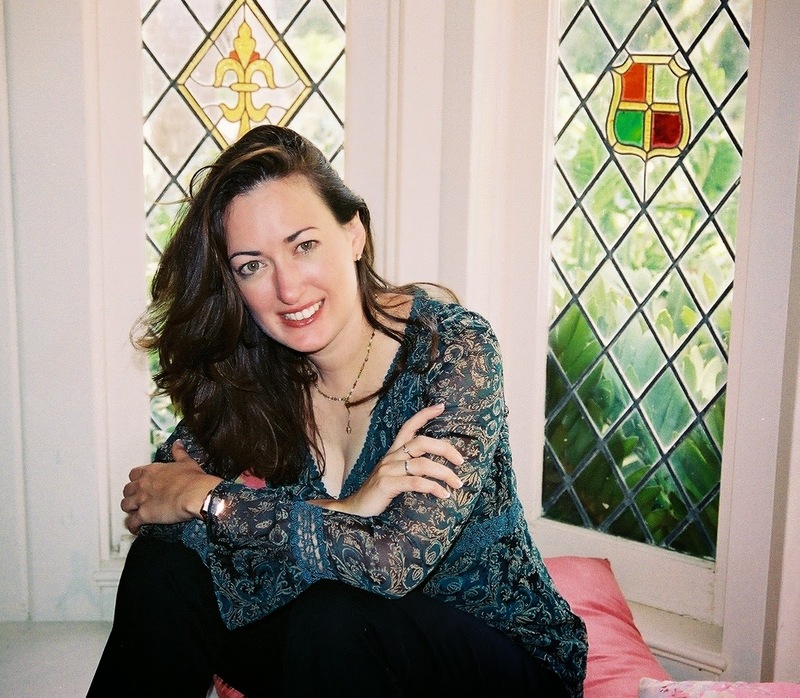 The book is a chronology of her upbringing and covers three generations of her family. Ms. Flinn's adventurous streak and zest for life was a theme of some of her earlier works and here we see some of this in her own family history such as when her family decides fairly abruptly to pack up their Michigan home and move to California to help a relative run a pizza restaurant. Other highlights include chronicling her family's attempt at raising chickens and her family's abrupt move from Michigan to Florida. Ms. Flinn offers up serious retro comfort food recipes such as Lemon Meringue Pie, Bread and Butter Pickles, and Hot German Potato Salad to punctuate her chapters and underline some of her early experiences with food and cooking. Our favorite of these recipes is her Pan Fried Steak a la Julia Child. This work, is in effect Ms. Flinn's third memoir and exhibits her exquistie story telling ability. She manages to weave a fascinating tale out of both the considerable drama and impulsiveness of her parents but also manages to get a lot of mileage out of the ordinariness of her youth such as chronicling the prodigous canning practices of her Grandparents or how her Father loved fishing. Ms. Flinn's work here manages to balance the sweetness and the ache of family history with the wizened perspective of adulthood. The end of summer tends to have us in a reflective mood and the end of this summer is no exception. One of the most memorable experiences of the summer of 2014 was a jaunt to the rakish I Go Inn Upstate in Edinburg, NY. The afternoon we visited the I Go Inn was one of the first hot summer days we experienced and many of the patrons of the IGI were literally just off of the boat from motoring on the Great Sacandage Lake as the Inn has a dock at the bottom of its property. Many of the patrons were floating around with beach coverups, flip flops and sunscreen liberally applied on their face and torso. The food was the best kind of beach food: Generous portions of fried seafood (such as the coconut shrimp), beer battered shrimp and chips mixed in with more high end and/or healthy options such as the Ahi Tuna Salad and Turkey Burgers. Mainly though, the I Go Inn is a great place to people watch. The place was packed the day we were there so it took awhile for our food to get served but our attentive waitress managed to re-assure us and the restaurant "comped" a couple of our appetizers even though our wait wasn't that bad considering. Again, the raucous but somehow well behaved clientele helped keep us entertained until we got our food. Lynn and I had discovered much of the North Fork's culinary offerings this summer starting with the cHarissa that Lynn had found at a Farmer's Market in Mattituck early in the summer. The eventual need to replenish our cHarissa supply led us to the charming A Taste of the North Fork storefront. to such bland fare as tofu. Thankfully, we found our cHarissa in ample quantities. There were plenty of items that we didn't get to try just yet but the Taste of the North Fork store is a great showcase for the rich and evolving creative food scene on the North Fork of Long Island. Lynn and I just got back from Boston and one of our favorite places Belle Isle Seafood has been moved into an expansive new location. The expansion included a short move across the small bridge going into Winthrop. The seafood remains sublime and though the old, cramped location had a rustic charm the new location's size and comfort is a welcome change.